Inter-Fab's echoes of nature designer fountains are the quickest way to add the beauty and sound of falling water to your personal environment. Each fountain is "self contained". It collects and re-circulates the water. 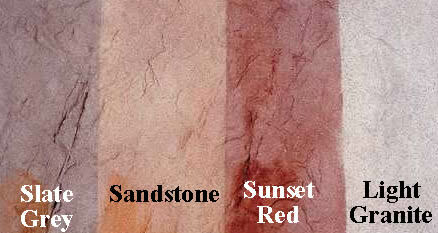 Available in Sandstone, Sunset red, Slate gray or Granite. Recirculating pump is included. The fountains are easily installed and are ideal for any backyard or garden area. Inter-Fab Fountains are available in the following colors.